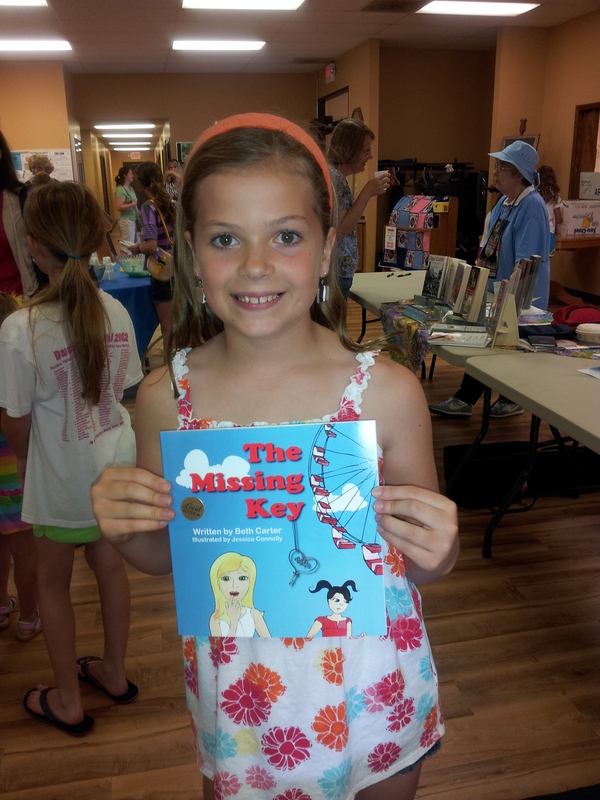 Grace Medley, my first fan in 2010! 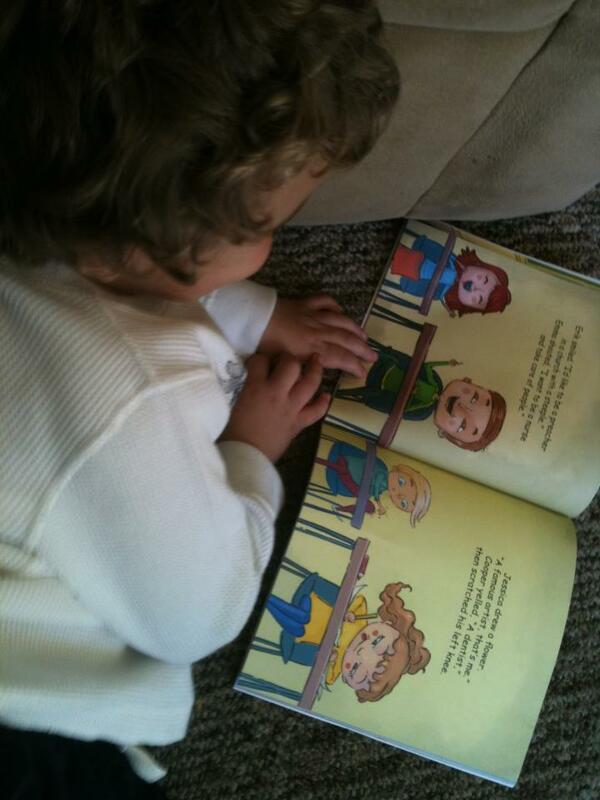 Little Logan reading WHAT DO YOU WANT TO BE? 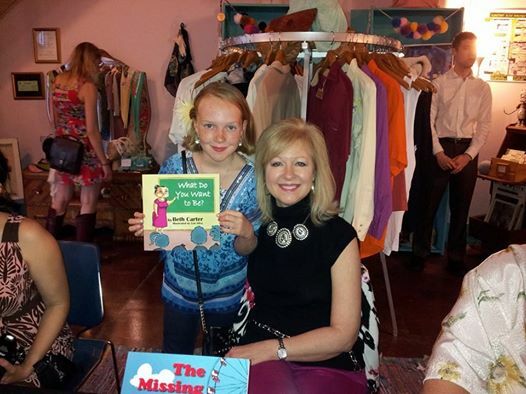 Kylie and Abby at the author’s first book signing! 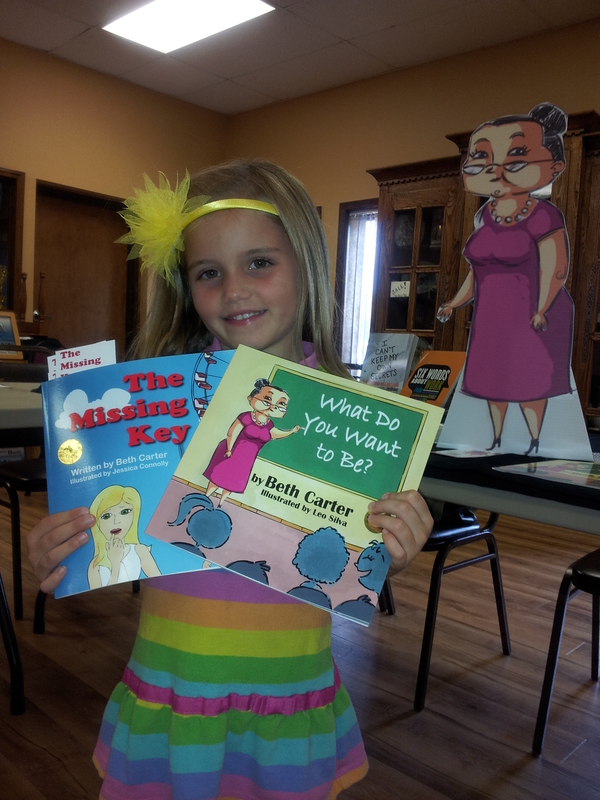 This precious little girl ran toward me, arms outstretched, and said, “I LOVE your books!” She made my month! 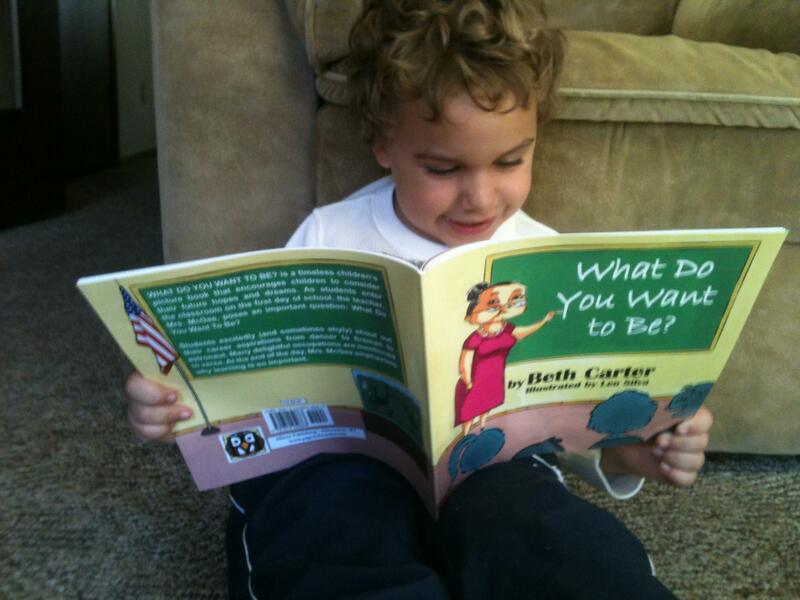 Here’s little Logan reading the inside of WHAT DO YOU WANT TO BE? 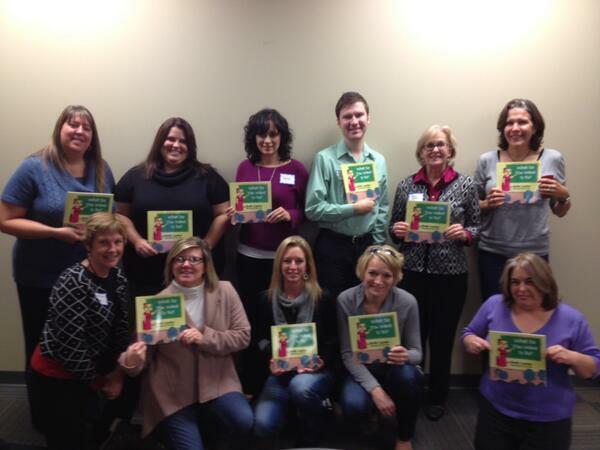 Directors from Child Advocacy Centers in Indiana holding donated copies of WHAT DO YOU WANT TO BE?, coordinated by my Twitter friend and child advocate, Ginger Kadlec. 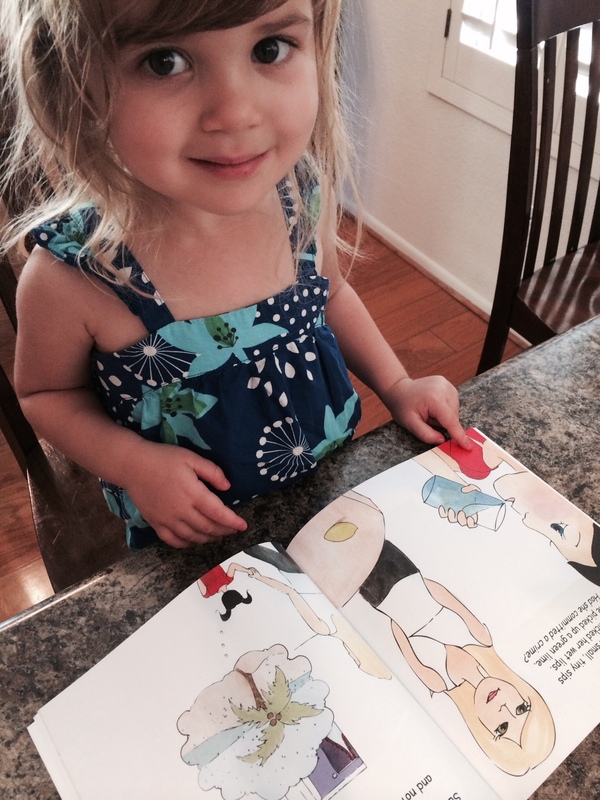 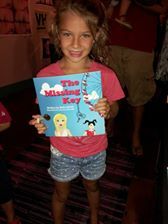 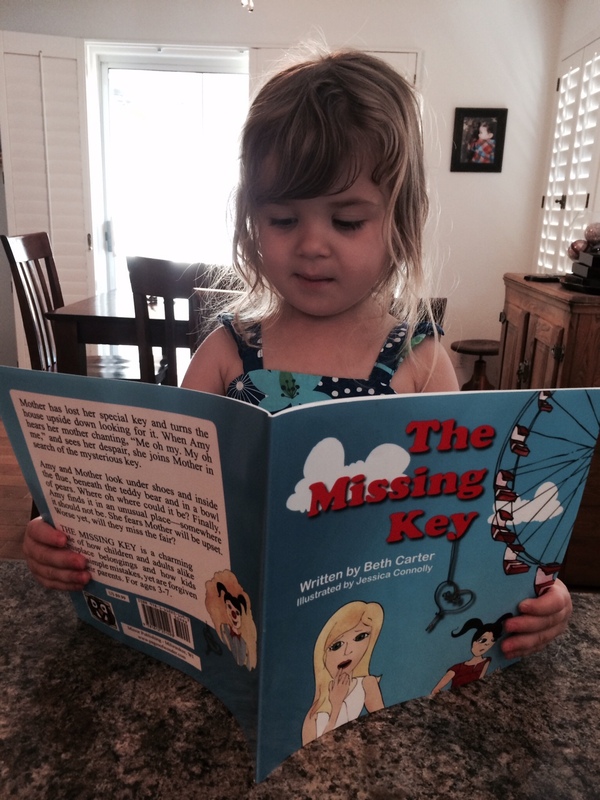 Our adorable granddaughter, Miriam, enjoys THE MISSING KEY. 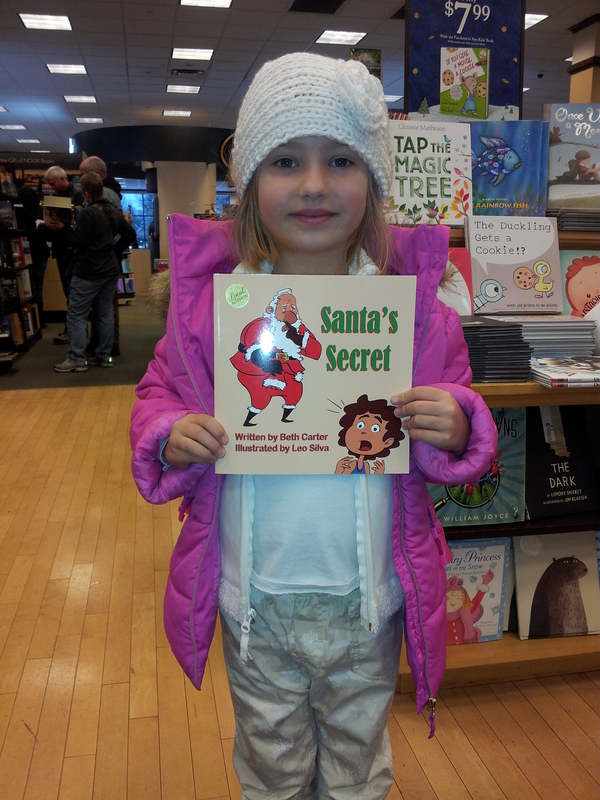 It’s illustrated by her talented mom (my stepdaughter) Jessica Connolly. 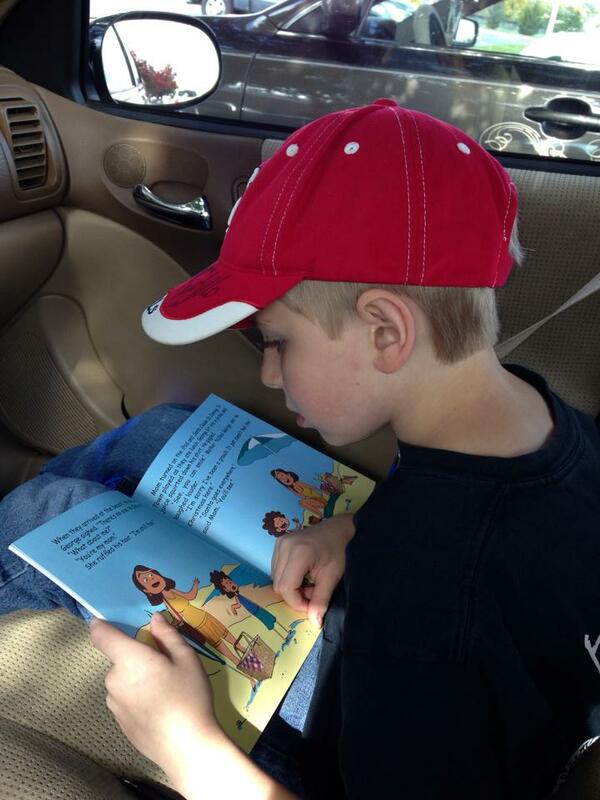 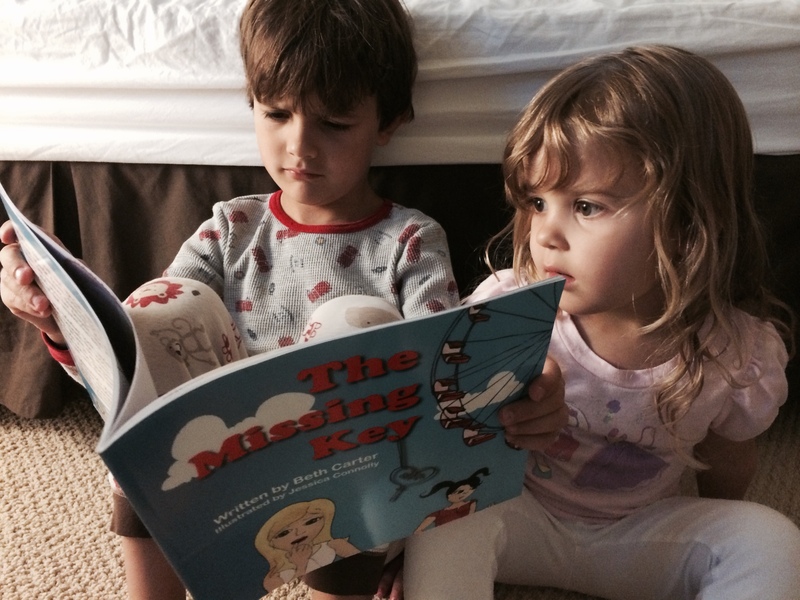 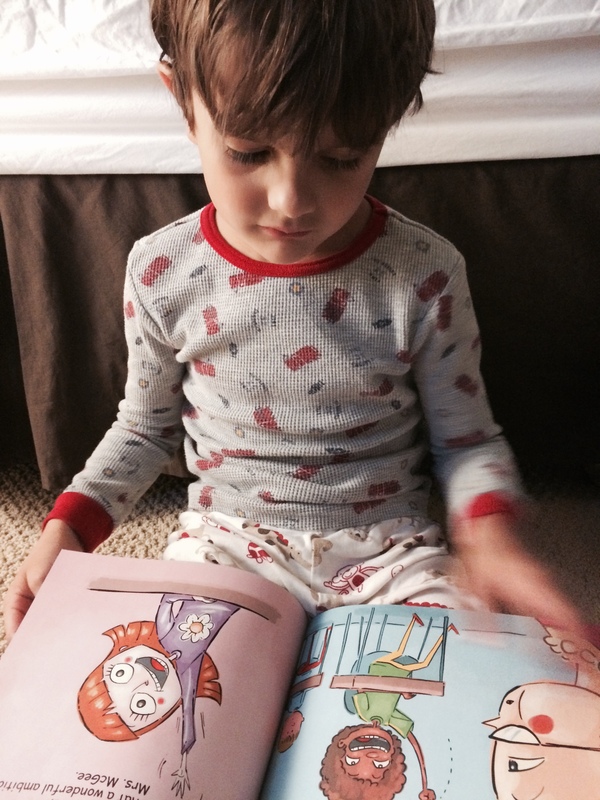 Our sweet grandson, Drew, is reading THE MISSING KEY to his little sister, Miriam. 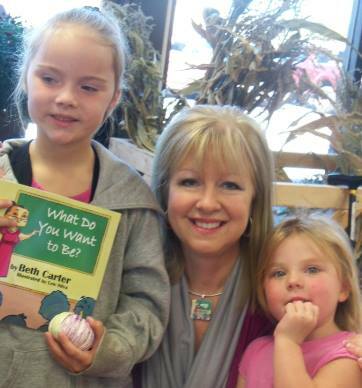 A fun book signing in Branson! 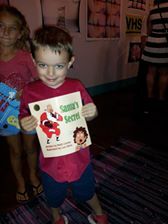 An excited fan in Branson! 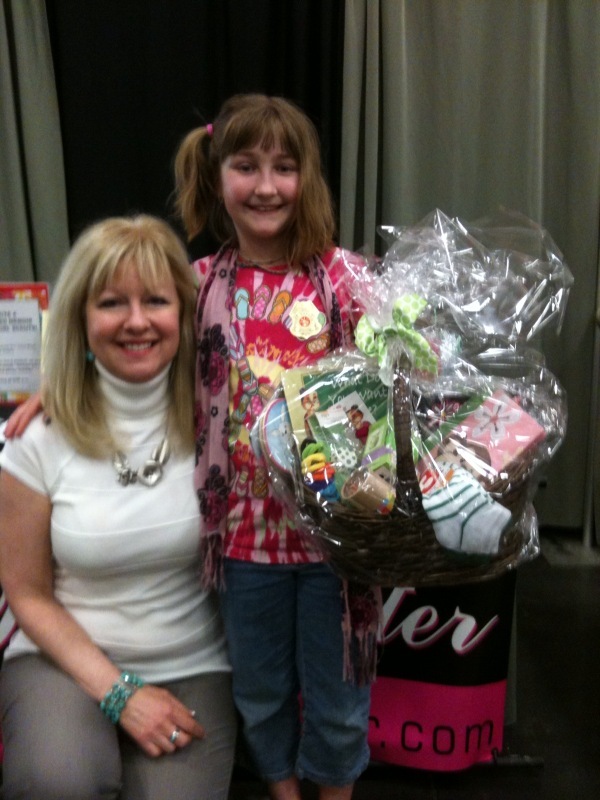 Sierra won my gift basket at the 100th Anniversary Expo for the Girl Scouts. 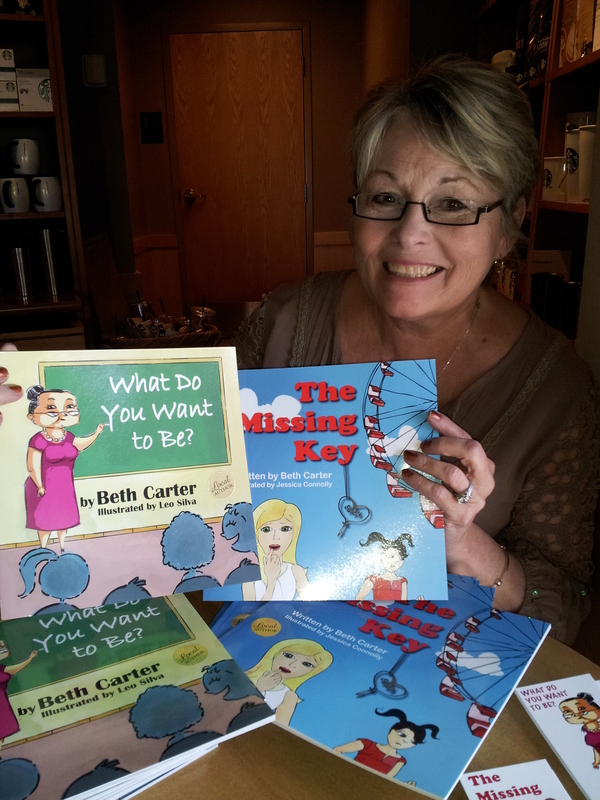 Lisa Slavens, founder of Wish I May, is holding donated copies of my books for underprivileged children. 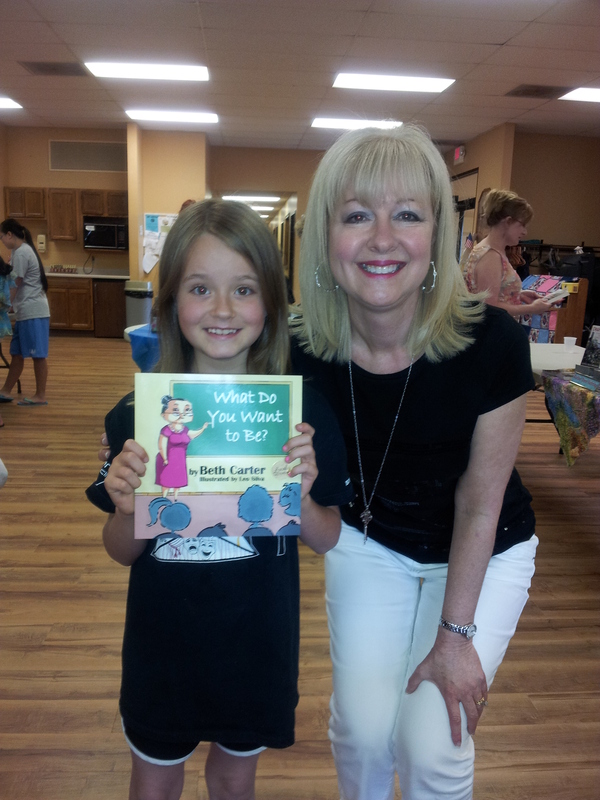 Wish I May provides birthday parties complete with a cake and gifts for the children. 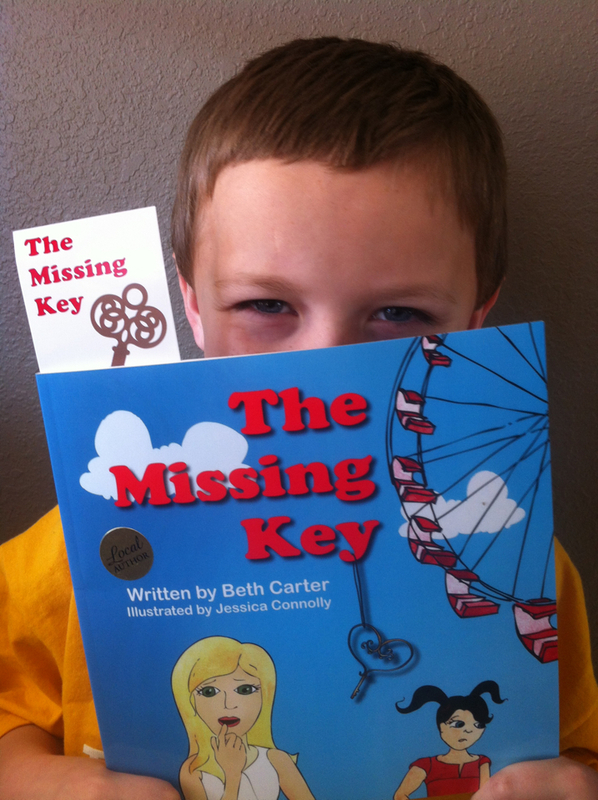 Olyvia wants to help find The Missing Key! 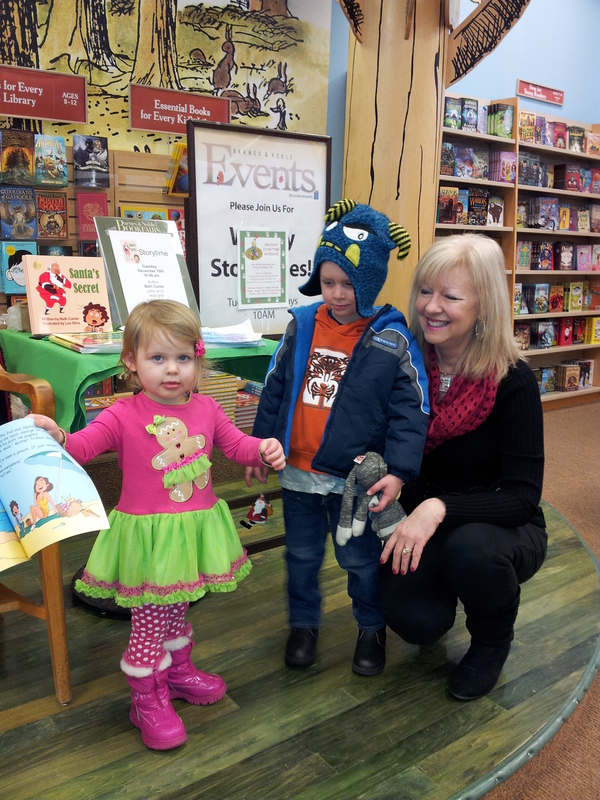 The author is reading to her sweet grandchildren in Arizona. 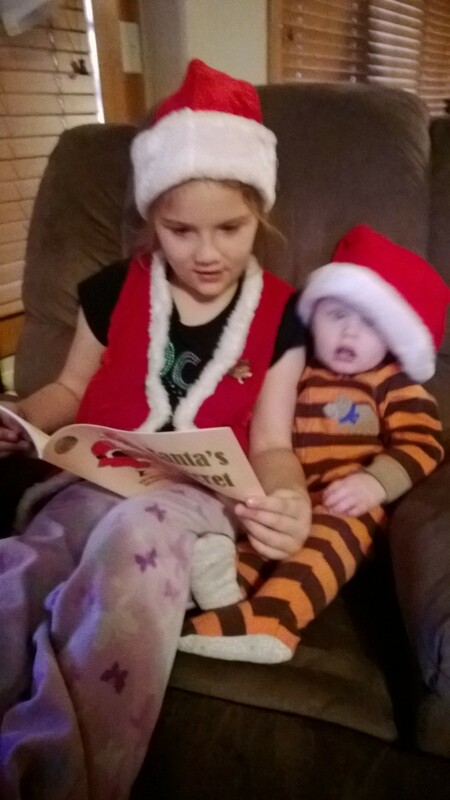 Kylie reading to little Kody. 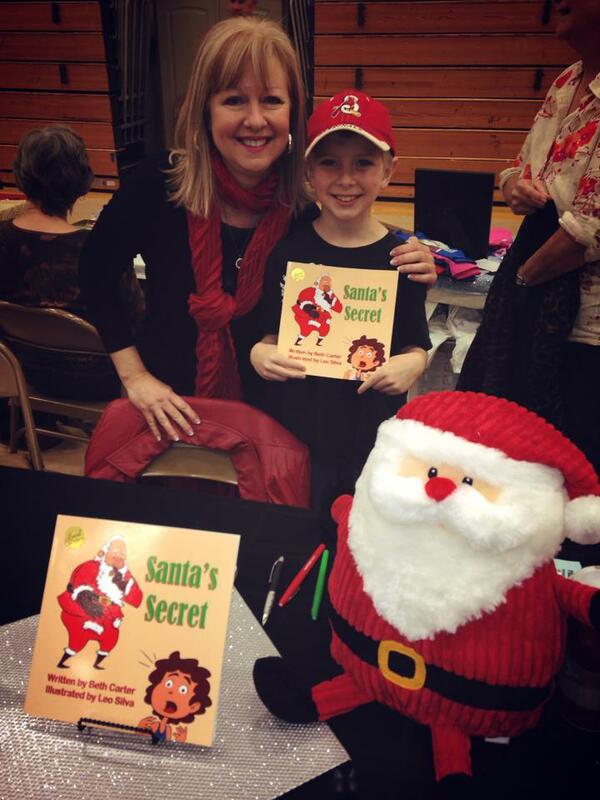 The author with Alex, her nurse’s son. 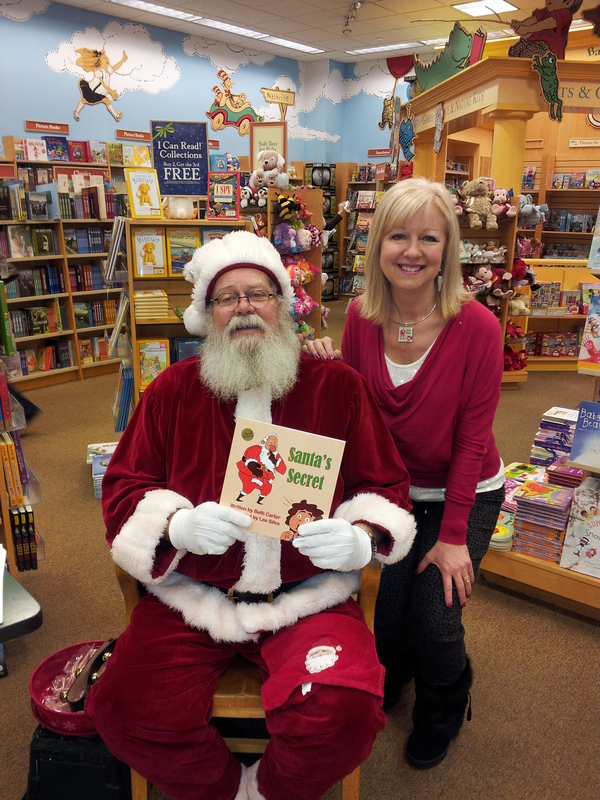 At Barnes & Noble discussing writing and reading SANTA’S SECRET. 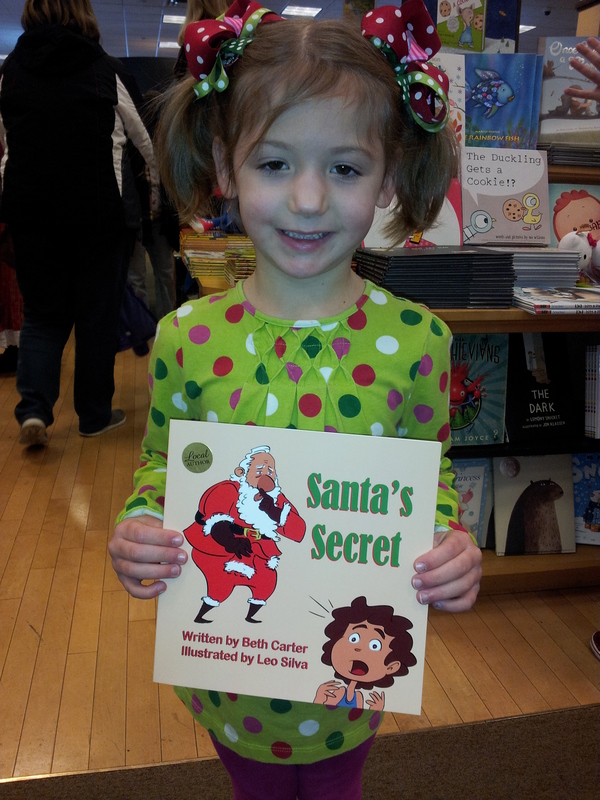 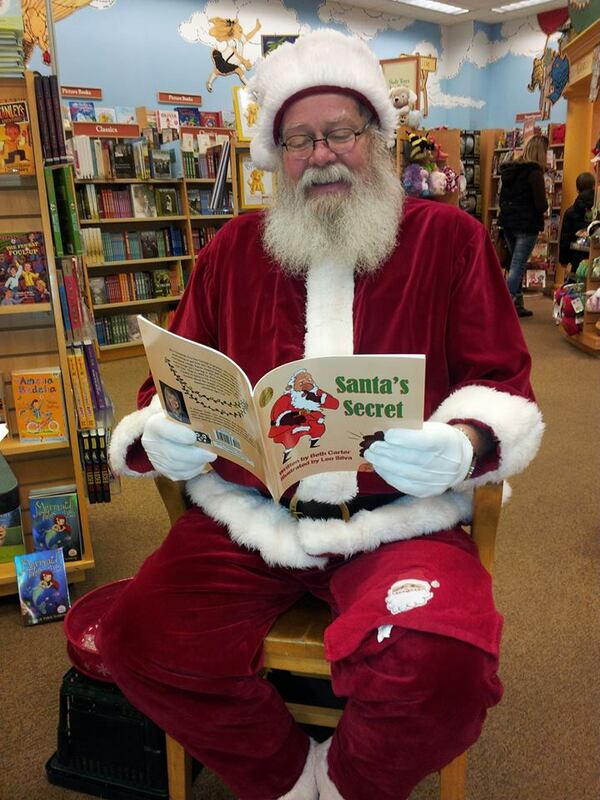 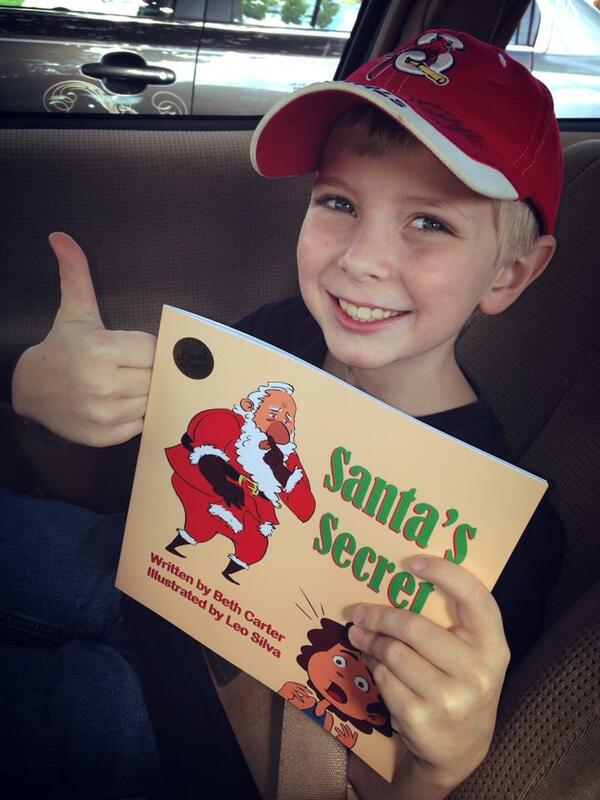 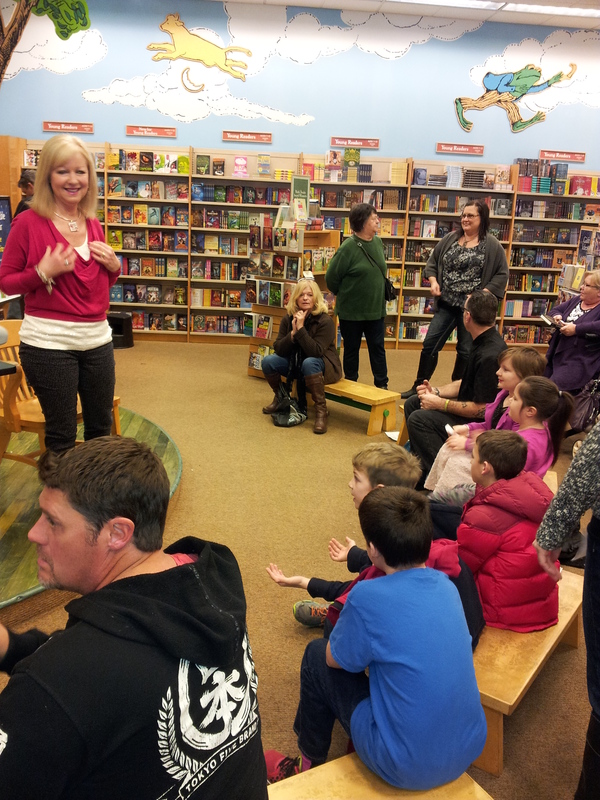 The author read SANTA’S SECRET on two cold, snowy days at Barnes & Noble. 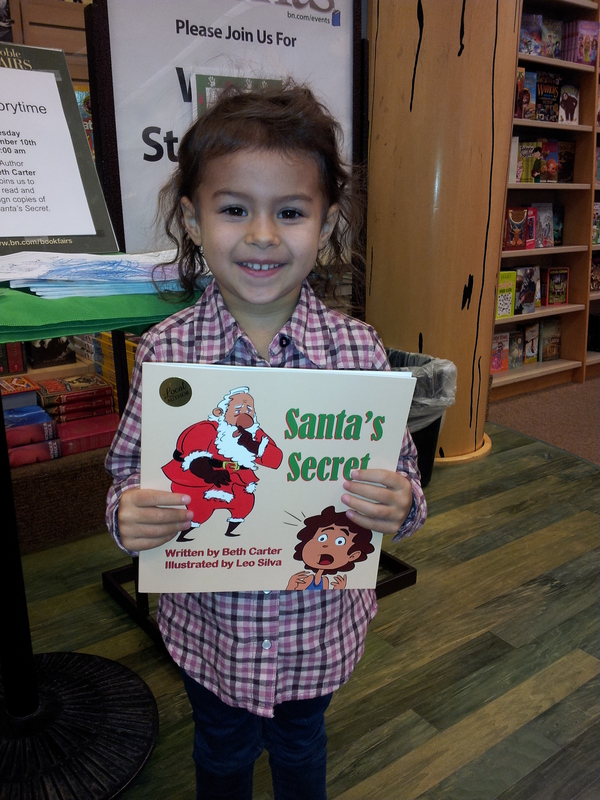 Lennon wants to know Santa’s secret! 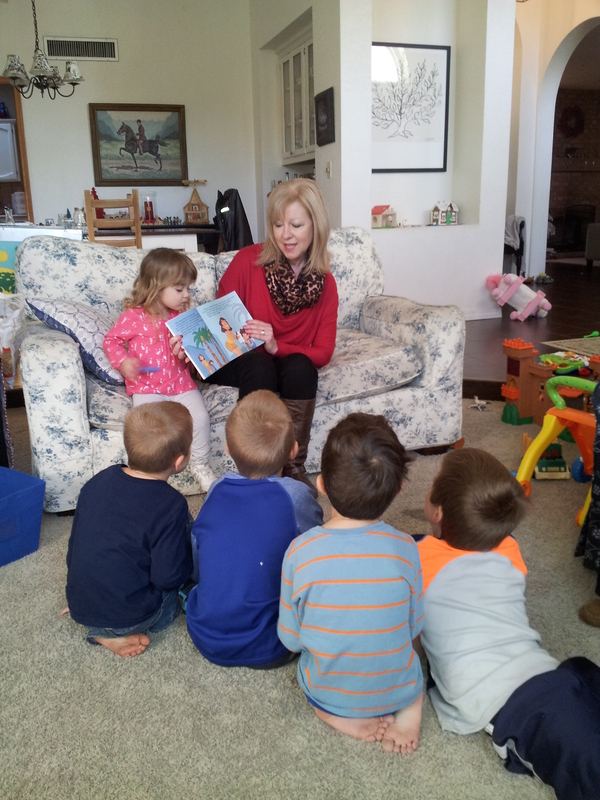 Reading to first graders at York Elementary.